Below you can view all the homes for sale in the Sonata At Pinnacle Peaks subdivision located in Las Vegas Nevada. 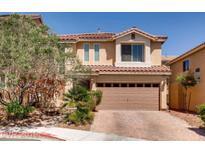 Listings in Sonata At Pinnacle Peaks are updated daily from data we receive from the Las Vegas multiple listing service. To learn more about any of these homes or to receive custom notifications when a new property is listed for sale in Sonata At Pinnacle Peaks, give us a call at 702-323-5933. Spacious 2nd Master Bedroom has huge walk-in closet accessorized w/ custom shelves, mirror & shoe racks. MLS#2087942. King Realty Group. Newer A/C compressor, prewired for surround sound, all appliances included! Come check it out today! MLS#2089707. Signature Real Estate Group. Stunning 3 Story Home Looks Like 2 Story Home Located In Heart Of Southwest, Granite Counter-top Throughout, Upgraded Roll Up Shades Throughout, All The Wet Area Covered With Tile, 3rd Floor Has Huge Loft And Upgraded With Full Bedroom And Bathroom(privacy Is Key), Well Maintained Home Just Like Brand New Home!! Must See !! Ready Move In! ! MLS#2088905. 1st Priority Realty, LLC. Conveniently located near major shopping centers, restaurants, and easy access to the 215 freeway. MLS#2088428. Huntington & Ellis, A Real Est. Check out upgrade and energy efficient list! MLS#2087107. Platinum R.E. Professionals. Gorgeous Master Suite W/ A Luxury Bathroom - Huge Walk In Shower, Walk-in Closet, Dual Sink Vanity. Freshly Painted! MLS#2085197. RE/MAX Advantage. Upgraded interior! Cul-de-Sac! WON'T LAST! MLS#2079571. Monopoly Realty & Mgmt Inc.
*modern 3-story Open Floor Plan Located In Desirable Southwest Boasts 2 Master Suites & 2 Family Rooms*4 Bedrooms Total*4 Baths*laminate Wood Throughout*kitchen Features Stainless Steel Appliances, Granite Countertops, Over-sized Pantry, Tile Flooring, Large Island*all Appliances Included*low Hoa Fee*guest Bedroom #2 Is Over-sized And Can Easily Be Used As A Playroom/Man-cave*low-maintenance Backyard Features Artificial Grass & Fruit Trees MLS#2077147. Integrity Realty. Backyard's charming setting includes extended cover for easy enjoyment. Truly a MUST SEE home! MLS#2075099. Realty ONE Group, Inc.
Minutes From The Strip And New Stadium! ! MLS#2064708. NextHome Integrity. Backyard with covered patio and synthetic grass. Welcome Home! MLS#2064171. BHHS Nevada Properties. This home is part of the Coronado Ranch HOA. MLS#2048796. Opendoor Brokerage LLC. Don't Be Afraid that this is a short sale - should move quickly!! ! MLS#2041042. Realty ONE Group, Inc.
Do Not Miss this Exquisite Home! MLS#2040787. Platinum R.E. Professionals. Spacious open floor plan , kitchen with large island , granite countertops, black gas stove , microwave and dishwasher. Refrigerate Washer and dryer included. MLS#2037180. All Vegas Properties. 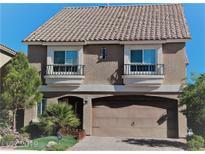 This home is part of the Coronado Ranch III HOA. MLS#2032792. Opendoor Brokerage LLC.